Gold City Newsagencies - Slaney & Co.
Overview For Sale is One Business in Two separate premises. The business and premises are seamlessly linked both operationally and technologically for improved management and customer service capability. To afford the business owners their independence & lifestyle, the shops are staffed with experienced people and electronically linked to the business owners' home office. The business is heavily systemized to minimize costs, maximize income, deliver predictable profits and enable ease of management. 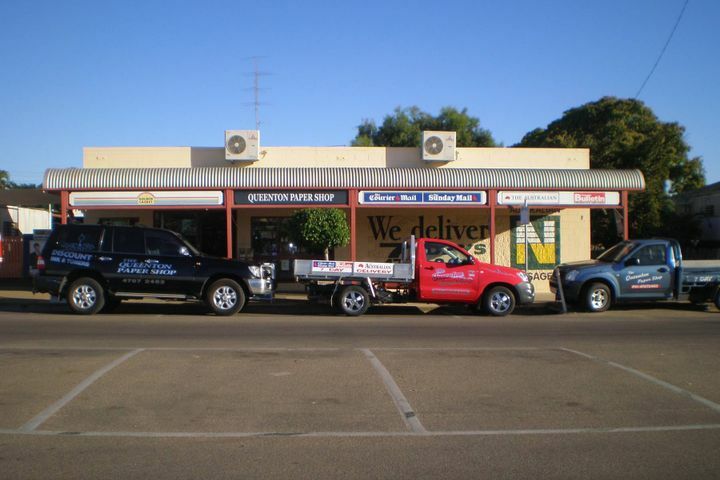 Location: The business is situated in two prominent locations within the CBD of Charters Towers -The Queenton Paper Shop - 278 Gill Street -Town Plaza News & Gifts - Town Plaza Building, Shop 2/3, 41 Gill Street Area & Tenure: The business premises are located on Freehold property and in a long-term lease. -The Queenton Paper Shop Lot 1 MPH 21363 Parish of Charters Towers Local Authority Charters Towers Regional Council -Town Plaza News & Gifts 5 Year + 5 Year Lease, 147 sqm ... Details available from the office Services: Situated in the CBD of Charters Towers, the business accesses all the services of a regional city (population approx 9000 people). Schooling, both primary and secondary, are a feature of the Charters Towers community with the town boasting three Private Schools, the State High School and three State Primary Schools.Charters Towers is an historic city established in the gold rush of the 1880's and still services the large Gold Mining, Grazing and Farming Industries of the Dalrymple and adjacent Shires. Nearby, approx 130km to the east is Townsville, a vibrant city of approx 200,000 people with diverse industry and opportunity for employment, business and higher education. 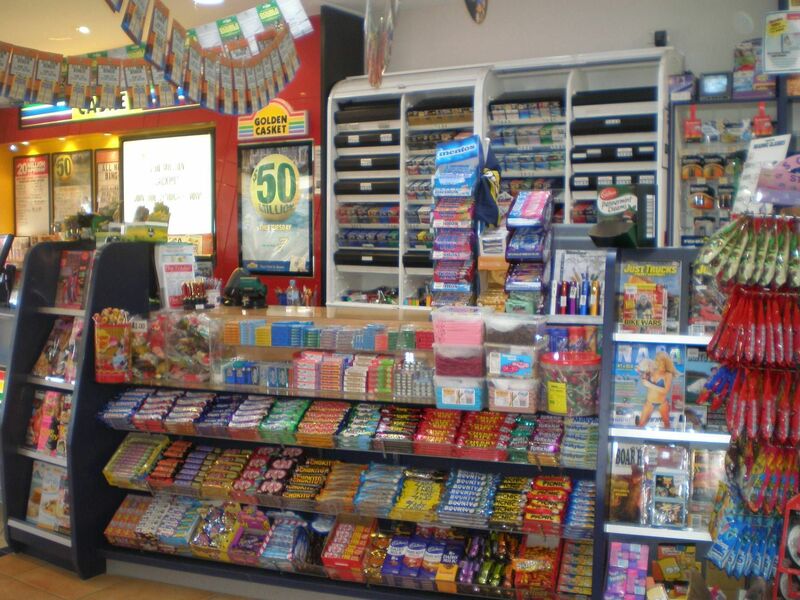 The Business: Entry into the Newsagency business is not possible unless an existing business is purchased. Unlike many industries, there are several regulations and licenses which define an operational area and therefore preclude entry of would-be new competitors. This regulation affords a great deal of business certainty. The Anchor business, The Queenton Paper Shop, has been in operation for over 50years and as such it holds pride of place in the towns' business history. The location, on the perimeter of the CBD, affords the business a loyal and consistent customer base from the adjacent suburbs and industry located on the eastern side of town. Located on Gill St, the shop has ample parking and is an accredited Australia Post Shop and postal point both of which add substantially to customer convenience and 'foot traffic'. Using Queenton Paper Shop as anchor, the owners expanded the business into The Town Plaza and purchased the 'Town Plaza News & Gifts' business in December 2005. Within the Town Plaza the business is located opposite the large Woolworths Supermarket and as such benefits significantly from the 'foot traffic' generated. Both businesses have had recent shop refits to modernise the 'look', expand product range, facilitate the delivery of excellent customer service, and improve business efficiency. Computers and point-of-sale scanning add to the improved customer service and business management. In addition to the two shops the business now services a large network of 16 subagents, 8 schools, 500 home delivery and shops, service stations and cattle stations within a 200km range. As such the businesses now ranks (based on turnover) number one & two, of the three Newsagencies in the Town. Stability and predictability of income are a major plus for this business. In tough economic times the business continues to prosper, the peaks and troughs in monthly income only vary by approximately 10%, the margins are strong, the key staff are stable and the business currently generates approximately $450,000 Net Profit pa. Staffing ... In addition to the two working Owner/Directors the following staffing is applicable. -The Queenton Paper Shop - 2 Senior Staff, 2 Junior staff, 2 Delivery drivers -The Plaza News & Gifts - 2 Senior Staff, 1 Junior Staff -Junior Staffing - manned by a series of part-time people, usually school aged. -Management & Administration - Business owners Administration is via the POS Browser computer package which handles all accounts and the stock recording system. All products are bar coded for efficiency and stock management. Trading Hours -The Queenton Paper Shop - 7days/week, 5am till 7pm Monday to Saturday. Sunday 5.00am till 4.00pm -Town Plaza News & Gifts - 6days/week, 7.30am till 6.30pm Monday to Friday. Saturday 7.30am till 5.00pm. Stock at Value ... The stock value ranges from $200000 to $250000 depending on orders and the time of year. Plant & Equipment ... The sale will include two vehicles and all equipment currently used in the businesses. Leased equipment will be paid out by the owners at time of sale. There is a substantial list of equipment included in the business sale. Reliable sales and income ... A comprehensive suite of financial information is available upon completion of a Confidentiality Agreement. Financial 'Snap Shot' ... -Gross Sales $5.0M -Gross expenses $800K -Net Income $450K (including add-backs) The Freehold Premises ... Queenton Paper Shop Situated at 278 Gill Street on a land area of 875 sq metres, the building is of Besser-block construction with 125sqm of airconditioned retail area. At the rear of the property is a small 3 bedroom cottage which is partly rented, and occasionally used for shop storage. The property is in sound condition and well maintained and could be used as the principle place of residence, if required. The Leased Premises ... Town Plaza News & Gifts Located in the only Shopping Centre in Charters Towers, and immediately adjacent Woolworths Supermarket the shop retail area covers 147sqm. The lease has recently been renewed for 5 years, with the option of a further 5 years. Rent $61503pa plus $10118 outgoings. Full lease details available. Awards ... The businesses have received 'Achievement Awards' based on superior sales volumes from major suppliers. They are the current holder, in both shops, of Emerald Club Membership with Australian Consolidated Press (ACP) magazines. Emerald Club qualifiers are in the top 500stores for ACP Magazines (there are 5000 Newsagents in Australia). 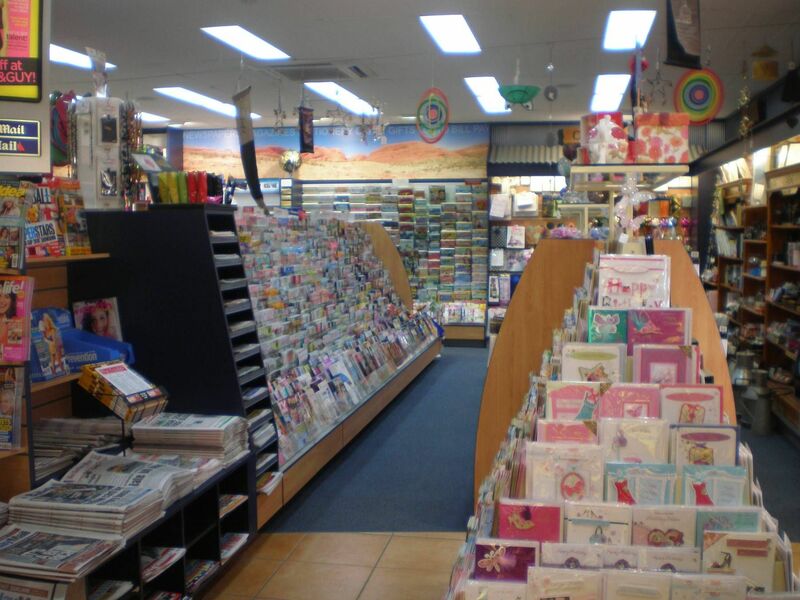 Agent comment: The Queenton Paper Shop and Town Plaza News & Gifts business holds a commanding market share, is highly profitable, well systemized, well staffed and capable of delivering predictable cashflow into the future. As a stand-alone business or as an income diversification plan for an existing business this is an outstanding opportunity. The Business will be sold on a WIWO basis including customer base. There is a three week handover period and if required the owners can be retained for a further period of time (to be negotiated). The Business can be sold separately from the Business Premises. For Sale is One Business in Two separate premises. The business and premises are seamlessly linked both operationally and technologically for improved management and customer service capability. To afford the business owners their independence & lifestyle, the shops are staffed with experienced people and electronically linked to the business owners’ home office. The business is heavily systemized to minimize costs, maximize income, deliver predictable profits and enable ease of management. Area & Tenure: The business premises are located on Freehold property and in a long-term lease. 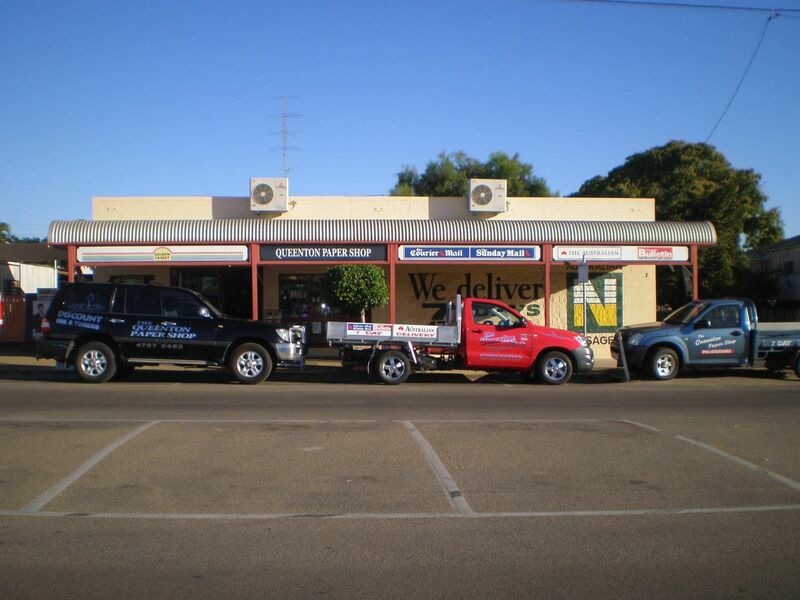 Situated in the CBD of Charters Towers, the business accesses all the services of a regional city (population approx 9000 people). Schooling, both primary and secondary, are a feature of the Charters Towers community with the town boasting three Private Schools, the State High School and three State Primary Schools.Charters Towers is an historic city established in the gold rush of the 1880’s and still services the large Gold Mining, Grazing and Farming Industries of the Dalrymple and adjacent Shires. Nearby, approx 130km to the east is Townsville, a vibrant city of approx 200,000 people with diverse industry and opportunity for employment, business and higher education. 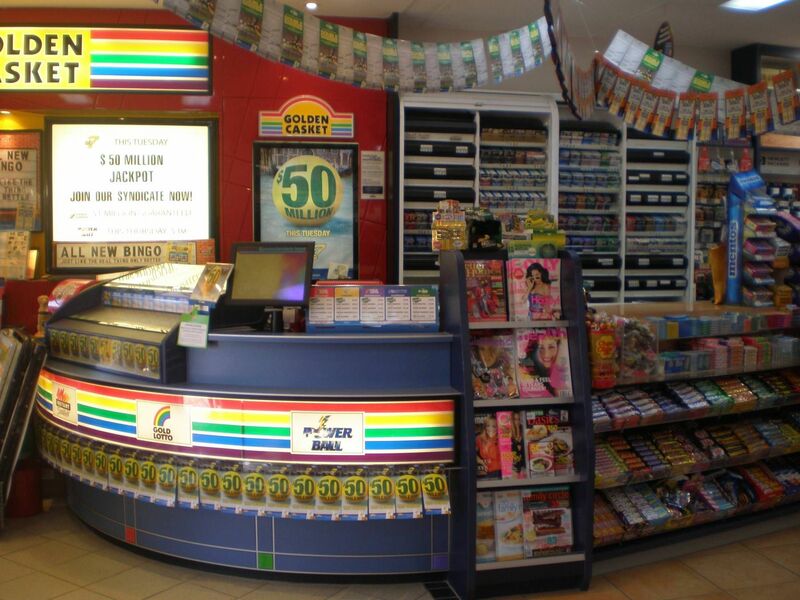 Entry into the Newsagency business is not possible unless an existing business is purchased. Unlike many industries, there are several regulations and licenses which define an operational area and therefore preclude entry of would-be new competitors. This regulation affords a great deal of business certainty. The Anchor business, The Queenton Paper Shop, has been in operation for over 50years and as such it holds pride of place in the towns’ business history. The location, on the perimeter of the CBD, affords the business a loyal and consistent customer base from the adjacent suburbs and industry located on the eastern side of town. Located on Gill St, the shop has ample parking and is an accredited Australia Post Shop and postal point both of which add substantially to customer convenience and ‘foot traffic’. Using Queenton Paper Shop as anchor, the owners expanded the business into The Town Plaza and purchased the ‘Town Plaza News & Gifts’ business in December 2005. Within the Town Plaza the business is located opposite the large Woolworths Supermarket and as such benefits significantly from the ‘foot traffic’ generated. Both businesses have had recent shop refits to modernise the ‘look’, expand product range, facilitate the delivery of excellent customer service, and improve business efficiency. Computers and point-of-sale scanning add to the improved customer service and business management. In addition to the two shops the business now services a large network of 16 subagents, 8 schools, 500 home delivery and shops, service stations and cattle stations within a 200km range. As such the businesses now ranks (based on turnover) number one & two, of the three Newsagencies in the Town. Stability and predictability of income are a major plus for this business. In tough economic times the business continues to prosper, the peaks and troughs in monthly income only vary by approximately 10%, the margins are strong, the key staff are stable and the business currently generates approximately $450,000 Net Profit pa. Staffing … In addition to the two working Owner/Directors the following staffing is applicable. -Junior Staffing – manned by a series of part-time people, usually school aged. Administration is via the POS Browser computer package which handles all accounts and the stock recording system. All products are bar coded for efficiency and stock management. -Town Plaza News & Gifts – 6days/week, 7.30am till 6.30pm Monday to Friday. Saturday 7.30am till 5.00pm. Stock at Value … The stock value ranges from $200000 to $250000 depending on orders and the time of year. Plant & Equipment … The sale will include two vehicles and all equipment currently used in the businesses. Leased equipment will be paid out by the owners at time of sale. There is a substantial list of equipment included in the business sale. Reliable sales and income … A comprehensive suite of financial information is available upon completion of a Confidentiality Agreement. Situated at 278 Gill Street on a land area of 875 sq metres, the building is of Besser-block construction with 125sqm of airconditioned retail area. At the rear of the property is a small 3 bedroom cottage which is partly rented, and occasionally used for shop storage. The property is in sound condition and well maintained and could be used as the principle place of residence, if required. Located in the only Shopping Centre in Charters Towers, and immediately adjacent Woolworths Supermarket the shop retail area covers 147sqm. The lease has recently been renewed for 5 years, with the option of a further 5 years. Rent $61503pa plus $10118 outgoings. Full lease details available. Awards … The businesses have received ‘Achievement Awards’ based on superior sales volumes from major suppliers. They are the current holder, in both shops, of Emerald Club Membership with Australian Consolidated Press (ACP) magazines. Emerald Club qualifiers are in the top 500stores for ACP Magazines (there are 5000 Newsagents in Australia). The Queenton Paper Shop and Town Plaza News & Gifts business holds a commanding market share, is highly profitable, well systemized, well staffed and capable of delivering predictable cashflow into the future. As a stand-alone business or as an income diversification plan for an existing business this is an outstanding opportunity. The Business will be sold on a WIWO basis including customer base. There is a three week handover period and if required the owners can be retained for a further period of time (to be negotiated).